Contact us now for a free home or office visit. 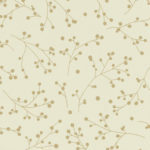 Our fabric of the month for December is Nina Yasmin from The Fabric Box Collection. We apologise for not bringing you a November fabric. As it is normally a feature that comes with the email newsletter and we were holding off on sending out the email so that we could include important dates regarding cut-off for Christmas orders, this feature was also being delayed to coincide with the email being sent out (here is a link to the aforementioned email: http://eepurl.com/JcoRX). We kept just getting busier and busier in the factory and before we knew it, it was the end of November. Enough apologies anyway – we have bundled this month’s fabric with a little discount. As for this month’s fabric pick, the thinking behind this selection is that with your house covered from floor to ceiling in Christmas decorations, your room is going to feel very busy with clashing colours and flashing lights, the soft metallic pattern of this fabric will help to neutralise the room and the subtle detailing gives a relaxed feel – which might be needed when you are rushing around preparing for the festive season. 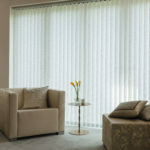 Since we didn’t bring you a fabric of the month for November, throughout December we are offering 10% off this fabric (available as a roller or vertical blind). Just contact the team quoting DEC10 and we can try and get it fitted in time for Christmas. As we mentioned at the start of this post, we are getting busier and we will only get busier in the run up to the Christmas so I would recommend getting your orders in as soon as possible so we can get out to see you. You can find out our Christmas cut-off dates for ordering in our last post.